Looking for the best for almond milk? You're in the right place! This guide is designed to help you pick the right one based on my years of experience making the stuff. My experience making almond milk in a blender along with some quick tips. The reasoning behind the top picks. 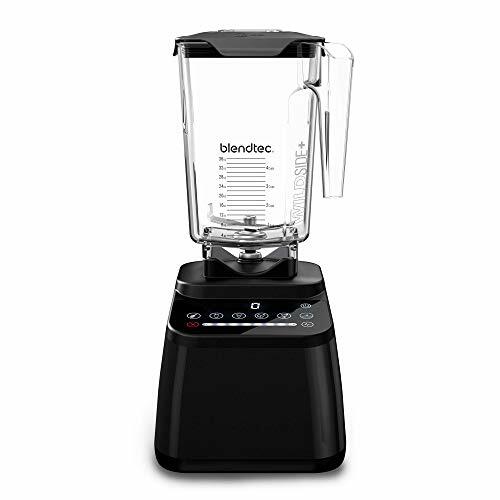 I picked the Blendtec first because of its raw power (3.0 HP). This is more horsepower than even the most powerful Vitamix blenders. While I tend to prefer Vitamixes because of the tamper, raw power is a critical component of making almond milk. More power means you’ll pulverize the nuts quicker, even if they haven’t been soaked. This Vitamix is one of the more barebones models, but it’s perfect for the application. If you’re making nut milk, you don’t need any sort of fancy pre-programmed settings or special features. Although it’s not as powerful as the Blendtec, it has more than enough for the job. Plus, you get the tamper which comes in handy for other things. While it’s not nearly as possible as the other ones, I use my Nutribullet 900 to make almond milk all the time. It’s convenient, cheap and more than powerful enough for this application. You can’t do huge batches with it, but if you’re blending for one or two then it’s great! Almond milk (or any nut milk for that matter) is not as difficult to make in a blender as you might think. With some water, your nuts and some vanilla extract you can have an almost milk that tastes similar to store-bought in a matter of minutes. Soaking the almonds overnight will always yield the best results, but with these blenders, you can get away with not soaking them if you want to make it on a whim. As a general rule of thumb a more powerful motor is better almond milk. You want to be able to pulverize the nuts efficiently and a puny generic blender isn't likely to do the trick. The more powerful the blender, the less soak time is needed for the almonds. However, if you have the time and the forethought to soak them overnight, then almost any blender will be able to do the job. If you're making nut milk for the entire household, then you'll want to have a big container. It's actually a fair amount of work to strain out the pulp, so it's not something you want to be doing daily if you can avoid it. Besides the Nutribullet 900, all the blenders on this list have big jars. To get rid of the sediment, you'll need to also purchase a nut milk or thin mesh strainer. No matter how good your blender is, it's not going to liquefy the nuts entirely. As the most powerful blender on the list, it's ideal for turning the toughest almonds into milk, even with minimal soaking. The Blendtec just has so much power (3 peak hp). It makes really thick smoothies, hot soups and almost anything you can imagine. Almond milk barely scratches the surface of it's capabilities. The pre-programmed settings make make it easy walk away when you're making your usual recipes. Jar is nice and wide and easy to clean by hand. Blendtec jars are dish-washer safe. Excellent warranty. The company is great about doing repairs and honoring the warranty as well. They sent my brother an entire new blender no questions asked when he had an issue. Big jar is perfect for making days worth of almond milk. Variable speed comes in handy when you want to keep some ingredients more chunky. No tamper which can get annoying for doing thick blends where ingredients need to be moved around. No really an issue for almond milk, though. If you find that you need a tamper, you can always purchase the Blendtec Twister Jar separately. This unit also tends to run pretty expensive, but is totally worth it if you can afford it. The Vitamix 5200 is a powerful no frills option that can handle almond milk with ease. 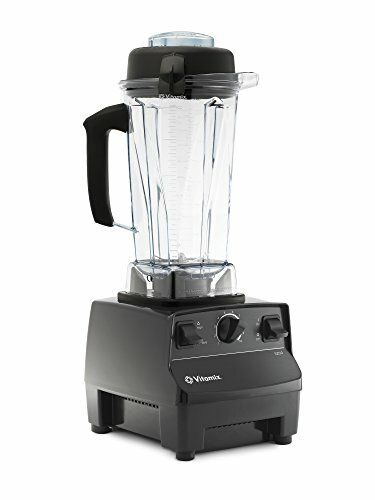 Some of the newer Vitamix models have pre-programmed settings, wider jars or fancy interfaces, but it's really not needed for this application. It's easy to control variable speed with the knob. Crank things up when you want your almonds to be completely pulverized and turn it down if you want to add some cacao nibs and have them keep their texture. Cannot rave enough about the 7-year Vitamix warranty. They've fixed several issues with my blender free of charge. The tamper comes in real handy when you're not blending with much liquid. It lets you push ingredients into the blades. It comes included unlike the Blendtec's Twister Jar. 64-oz container is large enough to make nut milk for the entire family. The container isn't low profile so may have trouble fitting under cabinets. Runs pretty expensive. May be out of the budget for some people. For a single person, the Nutribullet Pro 900 is a solid choice for almond milk. It's not as powerful as the others, but still gets the job done. I use this exact model to make almond milk when I'm too lazy to bust out my Vitamix. It doesn't run as expensive as the other blenders on this list. If you can't afford a high ticket blender, it doesn't mean you can't make almond milk. You can store your almond milk right in the blender after you strain it out. Just place on of the lids on the blender cup and throw in the fridge. 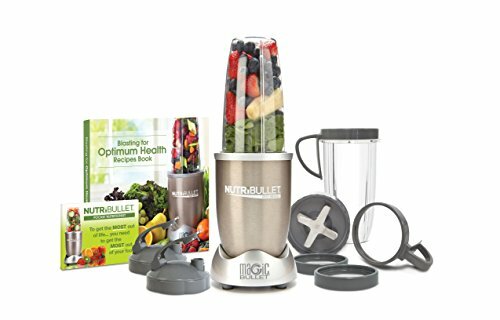 The warranty is not nearly as good as the other blenders listed here (it's only one year long), but I haven't had any issues and have been using mine for over two years. Small blender container means that you can really only make enough for a few servings. If you love plant-based milks, there's really no reason to buy it at the store other than convenience. With any of these blenders, you'll be able to customize richness, flavor profile and include/exclude whichever ingredients you want. No matter which one you pick, I'm confident you'll be pleased with the results. Be sure to also check out our full guide for the best types of blenders to buy.